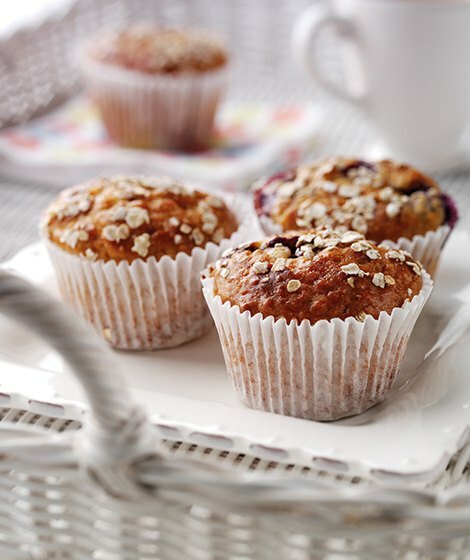 Place 12 paper muffin cases into muffin tins. In a separate bowl mix together the egg, buttermilk and oil. Stir the egg mixture into the flour mixture until combined. Then stir in the blueberries. Sprinkle over the remaining 1tbsp oats.